Western Abrasive Industries Pvt. Ltd – Manufacturer & supplier of emery abrasive, buffing wheel – Ahmedabad, India. Organization Western Abrasive Industries Pvt. Ltd – Manufacturer & supplier of emery abrasive, buffing wheel – Ahmedabad, India. Incepted in the year of 1967, Western Abrasive is a highly acclaimed Manufacturer, supplier and exporter of buffing and polishing compounds of premium quality used for polishing applications. Our quality analysis team consists of high knowledge and experience in relevant field conduct a strict check to ensure zero defect product. As we have excellent manufacturing and storage ability; we obtain the capability of delivering the bulk consignments of the clientele without any effort. With the rich industrial experience, we are counted as one of the leading manufacturer and exporter of superior quality abrasive compounds. Western Abrasive is top-notched manufacturer & supplier of emery abrasive, buffing wheel and polishing compounds for metal, wood, plastic and automobile surface since 1967. We are feeling proud to be a family owned and operated business specializing in a complete line of emery abrasive buffing wheel, polishing compounds for all metal surfaces as well as wood and plastic surfaces. To accomplish our mission of serving the best quality product, we prepared products using quality tested ingredients at a well-equipped infrastructure unit. Our premium quality polishing compounds give mirror-like finish which helps to enhance the profitability of kitchen utensils, bike, car, automobiles parts, wooden boat and many other manufacturers. We are backed by the strong workforce of well-coordinated quality analyzer team with the decade of experience who strives hard to provide the quality products, examine each and every compound and make sure the quality of the product without any compromise. In order to provide superior quality products; our R&D teamwork along with polishing and buffing compound manufacturer. We achieve this high level of success because of our premium quality polishing and buffing compounds that define a new look to the surface. We are a legacy of passion and adopted by the new generation & continue to collaborate it’s time for serving the best product to the industry. Western Abrasive is CROWN Brand emery supplier and manufacturer with more than 40 years of experience. Grinding and Polishing is the basic process to achieve surface finishing and level of smoothness. Most manufacturers fail to achieve the smooth and uniform surface. This leads to losing ground to competitors. Considering the reasons of poor surface finishing, it is necessary to find appropriate solutions. Western Abrasive Ind. Pvt Ltd holds expertise in finding right solutions for polishing applications and exporting its products to US, EU, Thailand, Malaysia, Singapore, Switzerland etc. 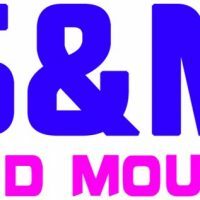 Gud Mould Industry Limited – Manufacturer of plastic injection moulds and die-casting moulds – Guangdong Province, China. 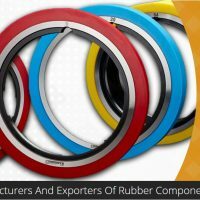 Bright Rubbers – Leading in all types of rubber equipment manufacturing & exporting – Delhi, India. 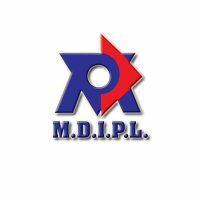 Multi Decore India Pvt. Ltd – We design, fabricate and deliver world-class steel buildings – Faridabad, India. Avanti Vending Machines – Kick start your vending business – Redding, CA. US.